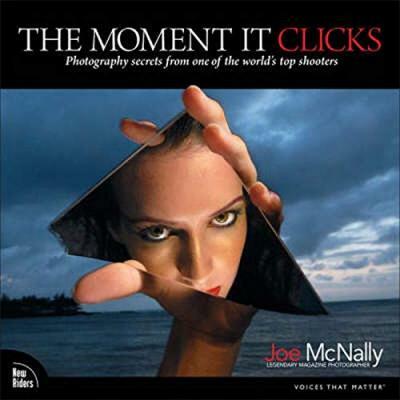 Joe McNally, one of the world's top pro digital photographers, whose celebrated work has graced the pages of Sports Illustrated, Time, and National Geographic (to name a few), breaks new ground by doing something no photography book has ever done-blending the rich, stunning images and elegant layout of a coffee-table book with the invaluable training, no-nonsense insights, and photography secrets usually found only in those rare, best-of-breed educational books. When Joe's not on assignment for the biggest-name magazines and Fortune 500 clients, he's in the classroom teaching location lighting, environmental portraiture, and how to "get the shot" at workshops around the world. These on-location workshops are usually reserved for a handful of photographers each year, but now you can learn the same techniques that Joe shares in his seminars and lectures in a book that brings Joe's sessions to life. What makes the book so unique is the "triangle of learning" where (1) Joe distills the concept down to one brief sentence. It usually starts with something like, "An editor at National Geographic once told me..." and then he shares one of those hard-earned tricks of the trade that you only get from spending a lifetime behind the lens. Then, (2) on the facing page is one of Joe's brilliant images that perfectly illustrates the technique (you'll recognize many of his photos from magazine covers). And (3) you get the inside story of how that shot was taken, including which equipment he used (lens, f/stop, lighting, accessories, etc. ), along with the challenges that type of project brings, and how to set up a shot like that of your own. This book also gives you something more. It inspires. It challenges. It informs. But perhaps most importantly, it will help you understand photography and the art of making great photos at a level you never thought possible. This book is packed with those "Ah ha!" moments-those clever insights that make it all come together for you. It brings you that wonderful moment when it suddenly all makes sense-that "moment it clicks." Illustrations note w. numerous figs., some col.
Joe McNally is an internationally acclaimed photographer, whose career has spanned 30 years and included assignments in over 50 countries. Although the majority of his career has been spent shooting for magazines such as Time, Sports Illustrated, and National Geographic, in the mid-1990s Joe served as Life magazine's staff photographer, the first one in 23 years. He also has shot commercial assignments for Target, Nikon, and Sony, to name a few. Joe is a recipient of the Alfred Eisenstaedt Award and has been honored by Pictures of the Year International, World Press Photo, The Art Directors Club, American Photo, Communication Arts, and Graphis. He conducts numerous workshops around the world as part of his teaching activities. One of Joe's most notable projects, Faces of Ground Zero - Giant Polaroid Collection, has become known as one of the most significant artistic responses to the tragedy at the World Trade Center.